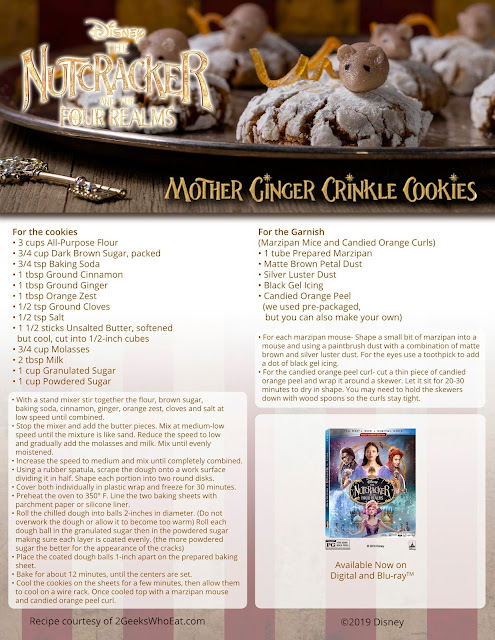 One Momma Saving Money: Celebrate The Nutcracker and the Four Realms With Mother Ginger Crinkle Cookies! Disney's The Nutcracker and the Four Realms is out on Blu-ray and Digital tomorrow. In celebration, Geeks Who Eat has created a delicious cookie recipe inspired by Mother Ginger! Go here for a PDF version of the recipe!